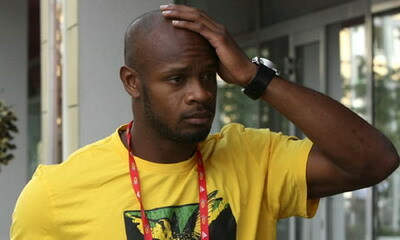 MIAMI – Asafa Powell, Sherone Simpson, and Tyson Gray is still denied doping being twisted them. The world Sprinter compact answer did not understand why their results showed a positive doping test. Powell, Gay and Simpson are three of the six runners who shocked the athletics world, because of doping problems that ensnare them. All three tested positive in a doping test conducted the World Anti-Doping Agency (WADA) when appearing in Jamaican National Championships in June. However, the three did not admit it. They argue that it is a positive doping results because they do not know any illicit substances contained in the food, beverage or supplement them. Athletes above statement echoed by Paul Doyle, an agent of Asafa Powell. He even accused Chris Xuereb, coach of Powell and Simpson deserve to be blamed for the incident. However, immediately denied the accusation Xuereb, who hope the athletes can be a gentleman to confess. As in the case of Powell, where the Italian police investigators found a number of drugs (supplements) in the former hotel rooms in the world’s fastest runner. “It is time the athlete is responsible for doping cases they do. This is better than making people surrounding dis scapegoat, whether it be a therapist, bartender or whoever, “Xuereb said as quoted by Super Sport. “I’m very disappointed they are blaming me for this. WADA and the public should stop receiving a story like this, “he continued. Further, during his stint as a therapist, Xuereb never give medications or supplements that violates the rules. “Most importantly, I’ve never given a substance that is illegal or prohibited to Asafa Powell or Sherone Simpson,” he added.